The 8-Slot BioNex is capable of triggering external systems using the Trigger Out port on the back. The functionality of the Trigger Out port differs depending on the generation of BioNex you are using. The 4th generation BioNex uses a BNC connector for the Trigger Out port. 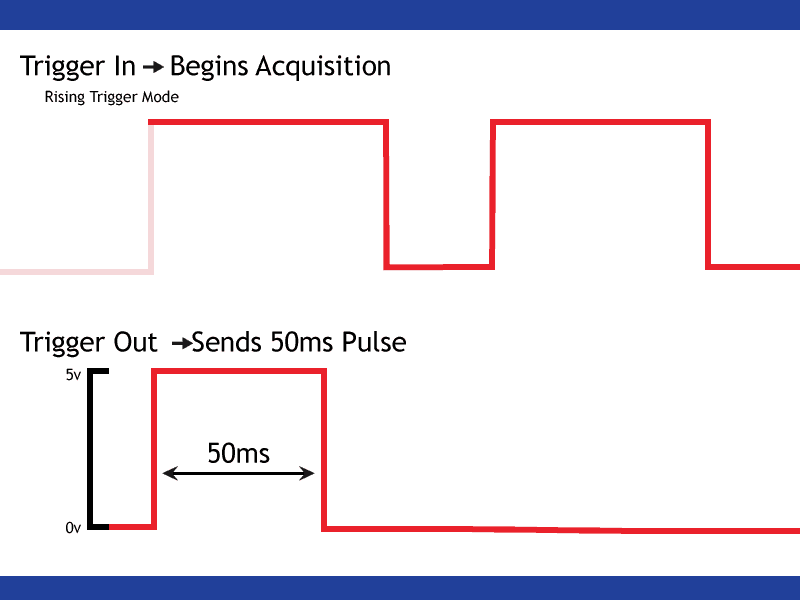 With this generation of BioNex, any time acquisition starts, a 50 millisecond pulse will be sent out of the Trigger Out port. 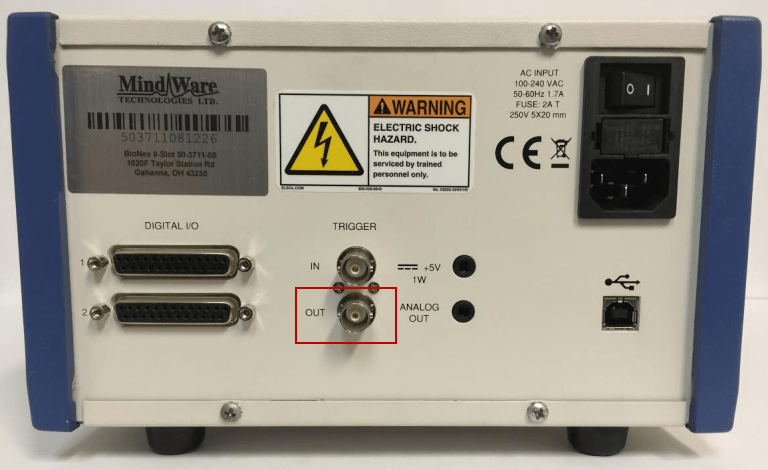 This includes if acquisition is started manually with the Start/Stop button in BioLab, if the BioNex is triggered through the Trigger In port, or if a UDP Start command is received. Earlier models of the BioNex used an RCA connector for the Trigger Out port. 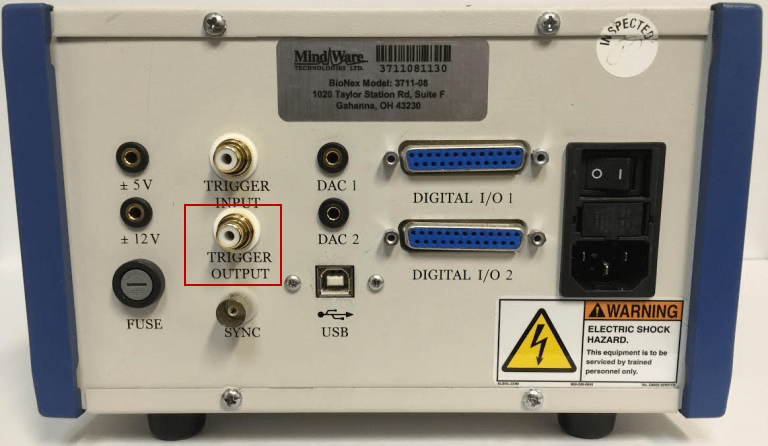 On these models, the Trigger Out port mimics the value of the Trigger In port. 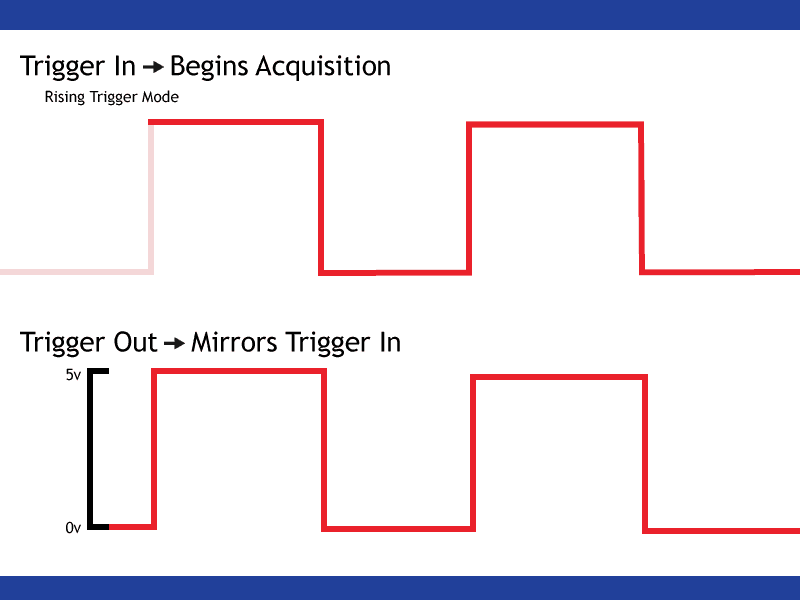 There is no direct correlation between the value of the Trigger Out port and acquisition start when acquisition is started manually or with a UDP Start command. Fluctuations on the Trigger In port during acquisition will continue to be reflected in the Trigger Out state.